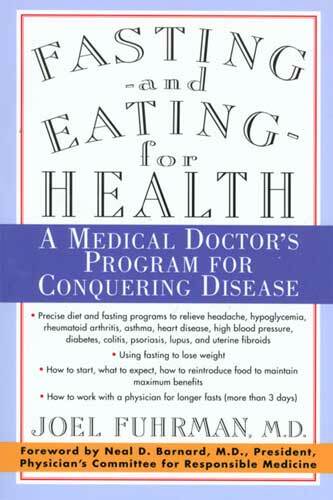 After reading “The Lupus Recovery Diet”, I continued my self-education by reading “The China Study” by T. Colin Campbell, “Fasting and Eating for Health” and “Eat to Live” by Dr. Joel Fuhrman, M.D., “The McDougall Program” by Dr. John McDougall, M.D., and “The Pleasure Trap”, by Douglas Lisle, Ph.D. and Alan Goldhamer, D.C. All of these books told me that serious dietary changes could affect autoimmune disease in a significant way. The consensus was that the optimum diet for people with autoimmune disease, is the same diet that is capable of stopping and reversing other serious conditions like diabetes and heart disease. I figured that if all of these smart people believed it, and even had scientific evidence to back it up, it was worth a try. After all, what could it hurt? So in November of 2009, I became a vegan. I stopped eating all animal products and tried to cut out almost all processed foods. I knew that I should eliminate sugar, salt and oil as well, but that came about more gradually. It’s very hard to eat only plain whole plant food, when you’re used to eating a standard American diet, and you’re surrounded by people who are eating a standard American diet. I was also still cooking for my family and watching TV, which you you start to notice when you’re not eating it, is inundated with advertisements for tragically unhealthy food. After a few months, I also cut out gluten (mainly wheat products) because I learned that it could be causing some of my problems. I did well on this diet. I felt better, though it was usually hard to tell whether it was from my meds or my new habits. I stopped drinking caffeine, which was a big change, and cut out alcohol completely. I gradually reduced the processed foods I ate, as well as added salt, sugar and oil. I lost at least 15 pounds from the time of my diagnosis until now. But I always felt I needed to do more. The more I learned about my medications, the more I wanted to stop taking them. Plaquenil can cause permanent retinal damage!! Nobody could minimize the seriousness of that. I only had to read a couple of blogs of women my age having hip replacements because of bone necrosis causes by prednisone before I knew I wanted to get off that too. And while I’m grateful for the effectiveness and relatively minimal side effects of Cellcept, I wanted to get off that too, particularly because I want to have a baby and you can’t get pregnant on it because it causes birth defects. So, on to the next step… WATER FASTING! (Water fasting should only be done under qualified medical supervision).